The breakthrough film that affords you a glimpse into a world you were never meant to see: the hidden world of animal experimentation where grant-hungry, pseudo scientists are responsible not only for the torture of millions of animals, but also for the systematic destruction of our health and the collapse of our economy. The film you must see before you take any more over-the-counter or prescription drugs, allow your children to be vaccinated, or agree to undergo surgery or any other medical procedure. This film can save your life! 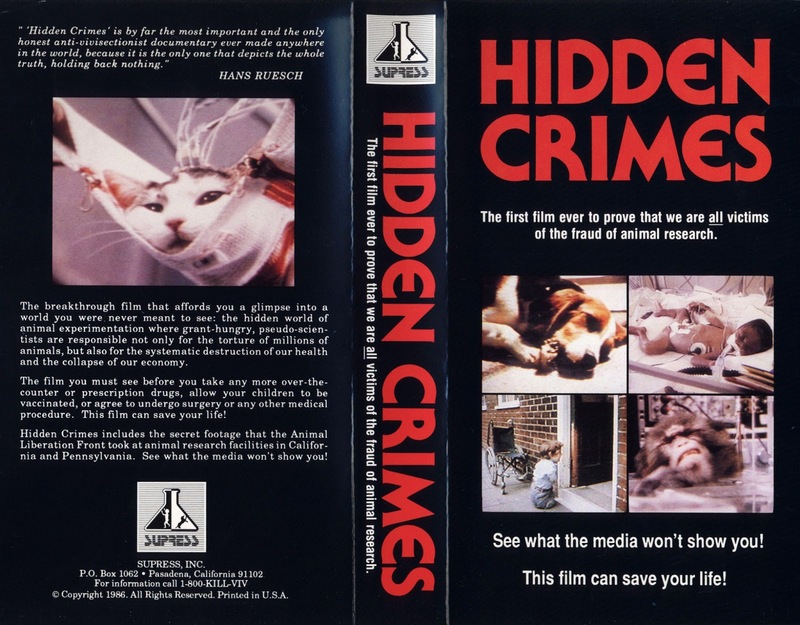 Hidden Crimes includes the secret footage that the Animal Liberation Front took at animal research facilities in California and Pennsylvania. See what the media won't show you! The running time of the documentary is 78 minutes. Only because of technical restrictions with its uploading on the internet, the video has been divided in 8 parts (numbered in progression). 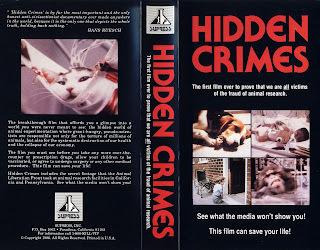 Hidden Crimes is by far the most important and the only honest anti-vivisectionist documentary ever made anywhere in the world, because it is the only one that depicts the whole truth, holding back nothing.